A cross the country and in DC, many young people land in the juvenile justice system for minor, low-level delinquency offenses. A youth may act up due to mental health issues, family dysfunction, trauma, or simply as a normal part of their adolescent development. However, instead of receiving support for their needs, they may find themselves caught in the formal prosecution system.DC’s Alternatives to the Court Experience Diversion Program (ACE) is helping to change that. “What ACE focuses on is giving kids who have gotten themselves involved in the criminal justice system an opportunity to receive the services that they need to ensure that their initial contact with the criminal justice system is the last contact that they have,” says DC’s Attorney General Karl Racine.The ACE program is an inter-agency initiative led by the Department of Human Services (DHS) in collaboration with the Department of Behavioral Health (DBH), the Office of the Attorney General, Court Social Services, the Metropolitan Police Department, and community-based providers. Deriving strengths from the joint partnership, the ACE program links youths with clinically-appropriate behavioral health services and community support systems, instead of arrest and persecution.In less than two years a thousand young people have transitioned through the ACE program. Its outstanding low recidivism rates speak for the program’s success. Less than 10 percent of youth who completed the program have been rearrested, and nearly 90 percent of participants show functional improvement based on the Child and Adolescent Functional Assessment Scale (CAFAS) scores. What is the secret to its success? ACE utilizes an individually-tailored approach that matches the needs of each youth coming through the program, and appropriately addresses the underlying issues that led to their diversion, offering after-school programming, family therapy, mentoring, or community service. The six-month program also pairs health and wellness services with civic engagement and allows participants to further their education through GED training, job readiness programs, arts, and sports. Christopher Giron, whose story was recently featured on the WAMU 88.5 radio station, is one of those youth. Through the diversion program, he found encouragement and connection. “I never actually had anyone say that they’re proud of me for doing something positive,” Christopher said. Behind ACE is a team of workers who are steadfast in their commitment to youth advancement. Hilary Cairns, Deputy Administrator at DHS, spearheaded the creation of ACE and secured local funding and federal grant seed money. 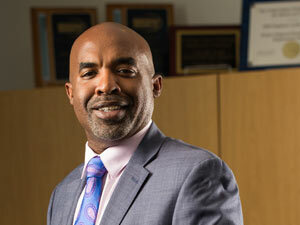 James Ballard III, DBH Clinical Program Manager, lent expertise to the program design and implementation, and provides ongoing strategic and clinical guidance to the team. Christopher Lewis, Supervisory Social Worker, helps the staff manage caseloads and service delivery efforts. 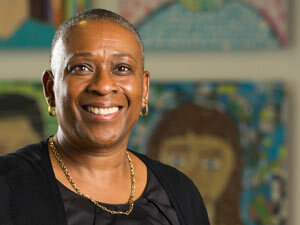 Carla Jackson, Program Support Specialist, offers critical behind-the-scenes support. 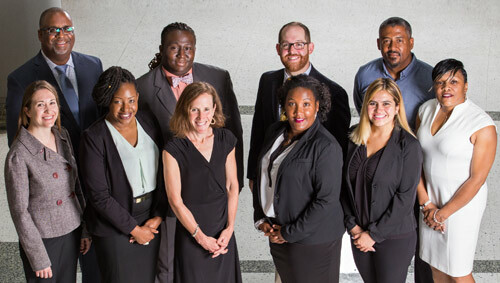 In addition, ACE would not function without its Division Coordinators, including Natalia Topik, Shawna Hampton, Omar Jones, Marlenne Silva, Yolanda Pearson, and Anthony Moffitt. Through the gift of second chances, and an A+ level effort, the ACE team is drastically changing the lives of many. In a densely-populated city such as Washington, DC, access to safe and affordable public transportation is essential. From Metrorail and Metrobus to biking and driving, the District Government works to ensure those services are available to thousands of commuters of all ages and walks of life.Some District residents, however, require extra support. When Aurora Delespin-Jones saw a lack of reliable transit for low-income seniors and people with disabilities, she knew she had to help.As a Program Analyst at the DC Office on Aging (DCOA), Aurora has long held a commitment to developing a state-of-the-art transportation system for our seniors. In 2012, she designed a transit system to provide free, gap-filling transportation for those who needed to keep essential medical appointments or required home meal delivery.Then, in 2014, transport services such as MetroAccess and cab companies instituted a fare hike. The fare increase limited the options for affordable transit for seniors living on fixed incomes.Driven by her fierce advocacy for older adults, Aurora initiated the ConnectorCard, a prepaid subsidized Visa debit card payment method. Participants, primarily low-income seniors, and people with disabilities ages 18-59, can use the ConnectorCard to pay for any public or private transit vendor that has debit card capacity. For a simple concept, the ConnectorCard makes a big impact. The card eliminates the use of paper vouchers and allows participants to access their funds immediately. More importantly, it empowers its users to select a transit option that works for them—offering variety and flexibility. Already 250 seniors use the card and numbers are growing. “ConnectorCard allows me to socialize with my friends and also visit my ailing siblings,” Brenda M., a Ward 5 senior, said of the program. “You can’t go wrong with it. ”Aurora’s vision for ConnectorCard, paired with her astute knowledge of grants management practices, has led the program to national recognition. ConnectorCard was named a best practice by the National Association of Area Agencies on Aging in 2015 and received acknowledgment by the National Center for Senior Transportation. The program is slated to expand, thanks to a Federal Transportation Administration grant of $373,000. Aurora has spent a lifetime in public service, working with some of DC’s most vulnerable populations. In her 37 years with the DC Government, she has designed the Junior Roving Leader Program for the Department of Parks and Recreation, managed the District’s Residential Substance Abuse Treatment grant at the Oak Hill facility, and written successful grants for $37,000,000 to build the Youth Services Facility in northeast Washington. Aurora’s colleagues recognize her knowledge, creativity, and compassion as she leads a team of finance and grant monitors at DCOA. Her drive to go above and beyond the call of duty in serving those who need it most is why one colleague calls Aurora “the foundation of our mission- driven agency.” Thanks to Aurora’s herculean efforts, access to affordable transportation can become a standard, rather than an exception to the norm, for our aging population—truly, a legacy worthy of recognition. For more than 1,000 children and youth in the District’s foster care system, each day can be unpredictable. Often separated from family members and normal routines, these children live under constant change and in continually new environments.Cheryl Durden has worked to guarantee that children in our foster care system have the one thing that should be predictable: access to great healthcare. As a Health Services Administrator at the Child and Family Services Agency (CFSA), Cheryl has put in place a reliable and effective healthcare system for the city’s most vulnerable children and youth.Cheryl joined CFSA in 2000, where she managed DC’s Kid-Integrated Delivery System (DC KIDS) as the Health Services Program Manager.Although Cheryl appreciated the effectiveness of DC KIDS, she saw a weakness in DC’s child welfare system. Despite federal law mandating that welfare systems provide adequate healthcare, CFSA lacked the infrastructure to do so. Without health policy and data, CFSA could not ensure that every child entering foster care had a health screening prior to and after the foster placement.Transitioning into the Administrator role at the CFSA in 2008, Cheryl came up with an innovative idea, proposing a first-of-its-kind in-house health clinic that would assess the health of children and youth entering foster care, while also employing nurses to help address their needs in the long-term. Called the Healthy Horizons Assessment Center (HHAC) and the Nurse Care Management Program (NCMP), the two programs combine healthcare and child welfare services like never before. It takes a committed and grounded leader to press on even when things do not go right the first time. When Cheryl proposed the Healthy Horizons program to her leadership in 2001, it was denied. Yet after advocating for it year after year, Cheryl finally saw the opening of the HHAC in 2009 and NCMP in 2010. “Through her patience and perseverance with changing administrations, differing philosophies, and a demanding start-up process, Cheryl was instrumental in ensuring the full implementation of the Healthy Horizons Assessment Center,” a colleague says of Cheryl. At Healthy Horizon’s 24-hour clinic, licensed nurse practitioners provide health screenings for children entering, exiting, and changing placements while in foster care. From here, a minor may be referred to the NCMP, which offers intensive case management for medical, health, or educational needs. When at first NCMP failed to produce quantifiable outcomes, Cheryl was unafraid to ask that the District’s Certified Public Manager program use it as a Lean Six Sigma project, which identified benchmarks that were not being met. Since then NCMP’s operating standards and key milestones have seen dramatic improvement. Today HHAC and NCMP are integral components of the Child and Family Services Agency. In fiscal year 2015, 94 percent of children received pre-placement health screenings, with 85 percent receiving comprehensive examinations. Thanks to Cheryl’s around-the-clock work and passion, the safety net for DC’s children and youth has never been stronger. One result of Charles’ experimentations has been his creative partnership between DOES and local services. Committed to improving the health outcomes for participants, he collaborated with the Department of Health to provide outreach, health assessments and education. Another partnership with the Citi Foundation and Community Area Asset builders has allowed program participants to learn about financial saving and investing. Over the next few months there will be additional opportunities to obtain entrepreneurial and IT training. Charles’ vision for equal access to employment has brought DOES’ services to populations that might otherwise be overlooked. In 2015, he partnered with the Department of Corrections to bring job readiness services to inmates approaching their releases. With the implementation of these services, returning citizens can now start the groundwork for financial and emotional security long before they transition from jail. In addition, Charles has developed cohorts of the program that focus on career training for transgendered individuals and fathers. Thanks to Charles, hundreds, if not thousands, of people have reintegrated back into society as productive citizens. A good book can open you to new ideas, people and cultures. However, reading is often a solitary act. It takes literature paired with interactive programming to truly spark someone’s imagination and to connect readers from around the world.Dr. 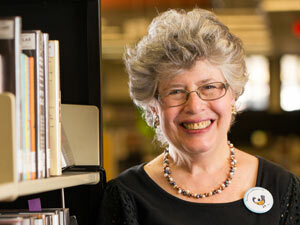 Liane Rosenblatt, a Reference Librarian at the Lamond-Riggs Neighborhood Library is the brains behind programs that do just that. In her 25-year career, Liane has used literature to unite youth in our neighborhoods and across continents. With her reading initiatives about the literature and history of African countries, Liane has connected young readers to authors and educators from as far away as Nigeria, Ghana, and South Africa.A visit to South Africa with the Library of Congress in 2004 inspired Liane’s first reading initiative, Reading Africa (RA). Her experiences there led her to create and implement an Africa-based reading program in the District to build positive awareness about the continent.“We wanted to change the three images often depicted of Africa by the media: famine, fighting, and flies. We wanted children to learn of the rich history of Africa, its literature, and its changing world,” said Angelisa Hawes, who had collaborated with Liane on the initiative.Liane worked with the Center for the Book in the Library of Congress to host the RA Kick- Off in February 2005. The event, featuring a noted author from Kenya and a performance by a West African dance company, brought together 900 students and teachers from 13 public schools. Fearing fire code violations, security thought they would have to turn away some of the visitors! Following the Kick-Off, Liane and 13 librarians led 35 RA programs in the 10 local libraries and 5 schools, with a total of 800 students participating. In 2007 Liane launched her second initiative, Reading Across Continents (RAC), a cross-cultural exchange program for high school students. She developed the project’s conceptual framework, designed literacy activities, and obtained a grant of $372,932 from the U.S. Department of State for its implementation. RAC introduced a groundbreaking approach to global literacy. The program designated 40 students from Ghana, Nigeria, and DC as “literacy leaders.” Twenty students from Washington, DC, traveled to Africa, and 10 students from Ghana and Nigeria traveled to the U.S. The students read novels and texts from each country and analyzed their themes through emails, blogging, and a website that connected them to their classmates at home. Liane’s latest initiative, Read Africa, invited the 2015 Children’s Africans Book Award winner Andrea Davis Pinkney. The event gathered 472 people to hear and discuss Pinkey’s masterpiece, The Red Pencil, which is set in Darfur, Sudan. “[Her] years of believing in the power of novels and nonfiction took us to places where most people may not even dream of going,” said a former colleague. The success of Read Africa and Liane’s other programs have captured the imaginations of readers, both young and old, encouraging them to think critically, to question, and to, quite literally, open themselves to a world full of possibilities. Rain makes Washington, DC, a city of green spaces, but when rain runs off parking lots, rooftops, and other impervious surfaces, it carries trash and harmful pollutants into rivers and streams. 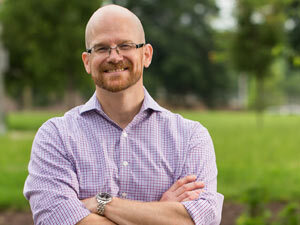 In an urban area like DC, a single one-inch rainstorm can produce over 500 million gallons of stormwater, degrading water quality in the District and in the Chesapeake Bay.Brian Van Wye has dedicated his career to tackling this growing environmental problem. Under his leadership the Department of Energy and Environment (DOEE) has introduced the first-of-its-kind Stormwater Retention Credit (SRC) trading program, which provides a flexible, market-based solution to stormwater management.Brian began his work facing a difficult reality: almost 43 percent of DC’s land is impervious— meaning it does not absorb water effectively. Retrofitting this landscape system with Green Infrastructure (GI), such as green roofs, rain gardens, and permeable pavement, can reduce stormwater runoff and restore the District’s waterbodies. However, such retrofits cost upwards of $7 billion.DC’s need for creative GI installations heightened when in 2010 the U.S. Environmental Protection Agency issued a new mandate requiring the District to enact runoff-reducing regulations. While the policy aligned with the agency’s goals, DOEE had to proceed with caution. For some developers these requirements could be burdensome, while environmental protection watchdogs could see them as inadequate.Brian rose to this challenge, working with all of the stakeholders to come up with an innovative solution. The resulting SRC program, which Brian formulated, refined, and wrote into local regulations, allowed property owners to voluntarily install Green Infrastructure, generating credits that can be sold to regulated developers. “Brian’s humility, sincerity and intelligence make him a perfect partner for environmental advocates and developers alike,” says David Tuchmann, the Vice President of Development at Akridge. The program has the potential to increase stormwater retention by over 50 percent annually, while providing flexibility and minimizing cost to the regulated community. There is an added financial incentive for developers to install SRC-generating GI in parts of the city with more open space and lower land costs. This shift in GI from the downtown business core to outlying neighborhoods provides additional benefits, helping to reduce the urban heat island effect, while improving air quality, and contributing to landscape beautification. Over time these benefits should proportionately accrue more to less affluent neighborhoods, also improving environmental justice. The success of the Stormwater Retention Credit trading program has not gone unnoticed, attracting the interest of sustainable impact investors. In March 2016 the Prudential Financial and The Nature Conservancy announced a partnership to utilize $1.7 million in private capital to install runoff-reducing GI infrastructure in the District.